Home Builders Advantage – When All Inclusive Service Means Just That! Everything is taken care of in house so that HBA clients have total peace of mind. Home Builders Advantage has always offered the very best in Building Brokers Services. Due to continued review and upgrading of our business, we have further improved the inclusions and currently offer an outstanding custom home package for the lowest possible price. 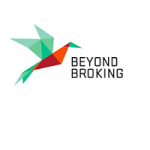 Have a look at this impressive list of Home Builders Advantage Building Broker service inclusions – we know you will be amazed and impressed! Free, no obligation meeting to fully understand the client’s objectives. No fixed time, take as long or as little time as you wish. One of our experienced partners will sit with you until you are totally satisfied that Home Builders Advantage understand your Custom Design Brief or the extent of your dream home renovation. Free, no obligation feasibility study and general advice on the viability of your project and the fit with budget, affordability and above all technical compliance with building regulations or shire codes. Once we understand your objectives one of our award-winning designers will produce a 3D colour render of the front elevation of your custom design together with floor plans and site layout. We hope that you will be blown away when we present this to you and if so we then go into detailed design during which you have up to 10 design revisions or 3-months unlimited design time to get comfortable with your new dream home or remodelled a current home. 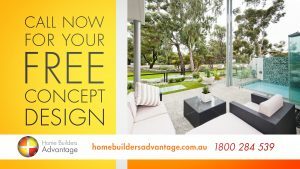 Home Builders Advantage specialise in designing on difficult blocks and in making our custom designs fit unusual shapes slopes or terrain. We therefore organise and implement a detailed site survey (unless you already have a current one) before we commit to you. This avoids false starts and allows us to fully inform you of the likely cost and design impacts your corner block, sloping block or even under croft design might have to include for. If you are subdividing HBA take care of all of the red tape and hassle associated with that process. You can just sit back and mull over our award winning designs at your leisure whilst we work away in the background. Home Builders Advantage have perhaps the best and most thoroughly managed approved builders’ panel in Perth. The builders who have achieved our approved status have gone through a similar but bespoke process that big commercial builders do when applying to work on State or National government tenders. This means that HBA can accurately match your project with the best-qualified builder who will give you the overall best tender not only the cheapest price. HBA tender your job to an extensive panel of builders from our approved list and then prepare a tender report to present to you. 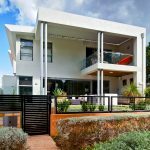 HBA guide you through the pros and cons of price, time on site, quality and value for money before letting you choose your dream home builder. Even after you have appointed your preferred builder, HBA remains very much involved with your build process. We require our builders to appoint us to work directly for them on the planning process and to produce your working drawings. We do this to make certain that the shortest possible time and greatest professional input is made to get your home to site as soon as possible. We ask our planning consultant to review the planning requirements and to deal with any justification that might be requested required by the Shire. HBA liaise with town planners, engineers, environmental specialists and the builder to make this stage in the process as seamless as possible for you. HBA get you to site as fast as we can whilst carrying out vital work for the builder as a member of their team. HBA’s involvement means that the interface between the builder and the designer is enhanced as our team are invested in the original work and can effectively deal with the post PPA processes from the top rather than the bottom of the learning curve. This is a unique position and saves hours of time and cost for all. 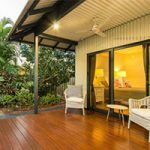 Home Builders Advantage guarantee to save you a minimum $20,000 in total construction cost, even after HBA have been paid for design and tender by our building partners on the smallest single storey home as a result of our huge wholesale buying power. Why pay retail? Build Wholesale! Only HBA promise you that advantage. In order for you to be part of the unbelievable Home Builders Advantage Custom Design and Renovation model, you are asked to pay the smallest contribution to cost currently available. A simple upfront cost of $1000 inc. GST fee is needed to activate the detailed design phase and a second $1000 inc. GST payment is required to activate the second commercial phase of tendering and negotiating the contract for you. That means that for an upfront cost of $2000 inc. GST (which can be included in your finance application and valued as a contribution towards the overall project cost) you engage and use HBA to deliver you the best design and the best price in WA. That’s what we call real value and we are sure if you engage us you will agree. All materials and information contained in this blog material are for your reference only and to the best of our knowledge, correct and accurate at the time of its publication. These materials and information are subject to changes and reviews from time to time without prior notice. Information stated herein/on is not part of any contractual agreement between Home Builders Advantage (HBA) and any client, customer or other interested party nor is its inclusion implied or conferred by any statement of fact or opinion unless explicitly stated as being part of the signed HBA Service Agreement. Please contact us if you have any queries. ← Take The Guess Work Out Of Building!